The Sponsor is a controlling Unitholder of Sasseur REIT as at the Listing Date through its 100.0% interest in the Cayman Holdco, which in turn owns approximately 55% (assuming the Over-Allotment Option is exercised in full) to approximately 58% (assuming the Over-Allotment Option is not exercised) of the Units as at the Listing Date. The Manager is wholly-owned by the Cayman Holdco, which is an indirect wholly-owned subsidiary of the Sponsor. 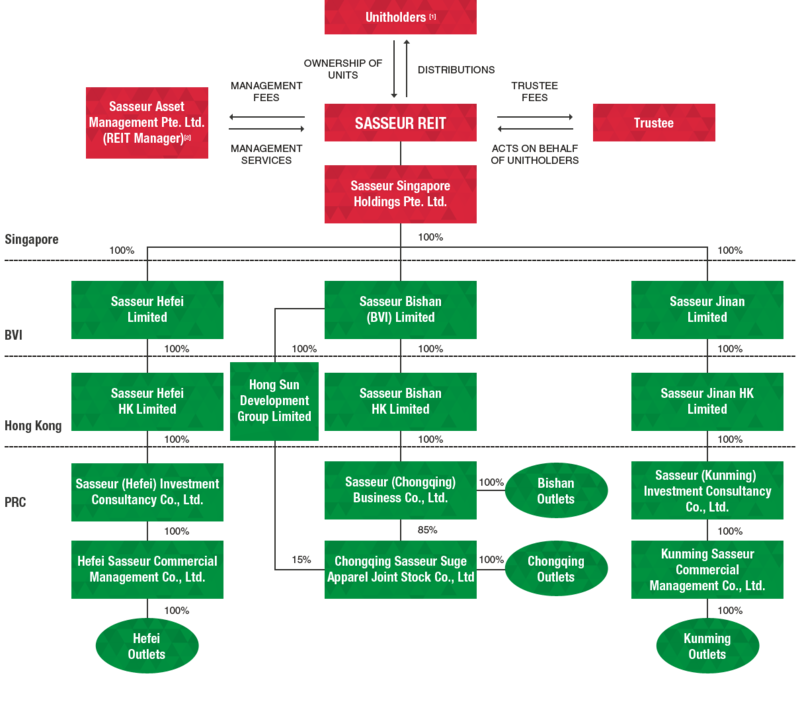 60.0% of the interests in each of Chongqing West Outlets Brand Discount Commercial Co., Ltd. and Shanghai Pacific Rehouse Service Chongqing Co., Ltd. (collectively, the "Associated Companies") is held by Shanghai Pacific Rehouse Service Co., Ltd., an independent third party unrelated to the Sponsor Group. The Associated Companies have commenced voluntary winding up from 12 December 2017 onwards. Copyright © 2018 SASSEUR REIT.